The Codex Mendoza, which we have referred to in several previous posts, can now be viewed via an amazing online interactive resource organized by INAH, Mexico’s National Institute of Anthropology and History, in association with Oxford’s Bodleian Library and King’s College, London. 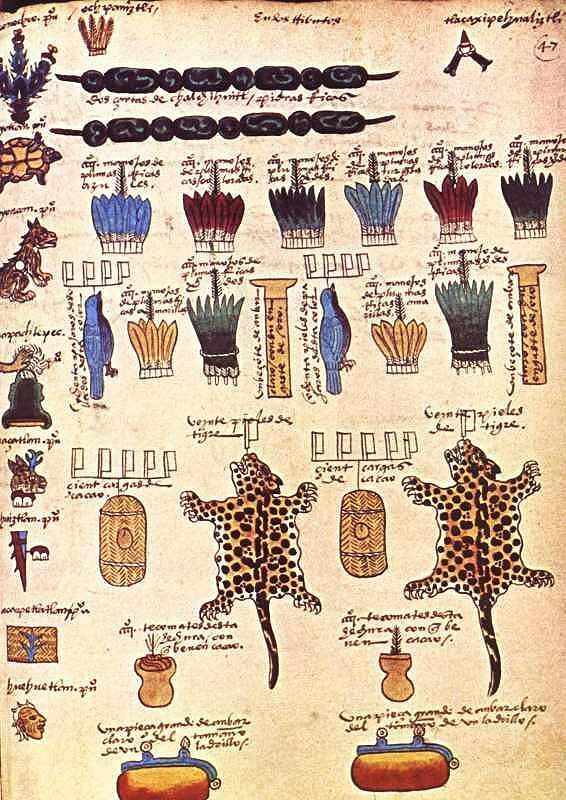 Compiled in 1542, and richly illustrated, the Codex Mendoza is one of the key primary sources from Aztec times. It was completed at the instigation of Spanish viceroy Antonio de Mendoza and provides exquisite details about Aztec history, the expansion of their “empire” and the territorial tributes that they received from every quarter of their dominions. The Codex also chronicles daily life and social dynamics. The interactive online version has images of the entire document and allows viewers to mouse-over the original text for translations into English or modern Spanish. Clicking on individual images offers more detailed explanations and information. The digital codex can be viewed online, or downloaded through Apple’s App Store as a 1.02-gigabyte app. The online Codex Mendoza is a truly amazing resource. Hopefully, some of the other Mexican codices that currently reside in Europe, too also be “virtually repatriated” in the near future, making it much easier for Mexican scholars to consult them. Video documentation of the Lacondon Indians in Chiapas Where are the mining concessions in Mexico?